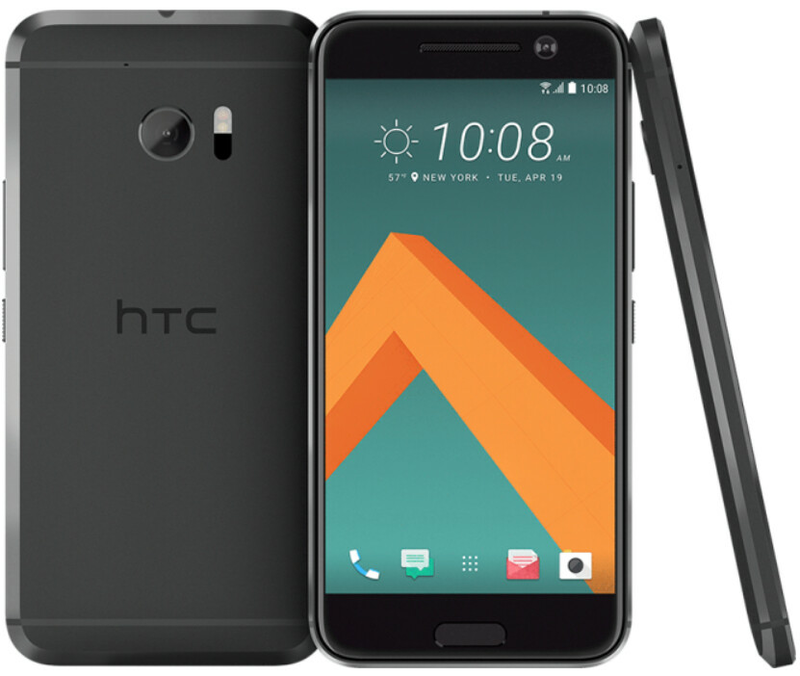 The unlocked version of the HTC 10 is now available for pre-order from HTC's website. As we told you earlier today, typing in 1008 in the Promotions field when ordering will take $100 off the price of the 32GB model, bringing it down to $599. This variant of HTC's new flagship supports both AT&T and T-Mobile's 4G LTE networks. If you're a T-Mobile subscriber, you have a choice. You can pre-order the unlocked model from HTC, or wait for the carrier-branded variant to go on sale. Both models will be released next month. AT&T subscribers don't have that choice. As we told you this morning, the nation's second largest carrier is not selling a carrier-branded version of the phone. AT&T subscribers can still purchase the unlocked HTC 10. Buying directly from HTC means that you can take advantage of a monthly installment plan offered through PayPal Credit. Pay off the phone in a year or less, and there will be 0% interest. Over 12 months, that works out to $58.25 a month. If you use the money saving promo code, the lowered monthly payment would be $49.92 a month. If you are a T-Mobile subscriber contemplating the purchase of the unlocked HTC 10, you might wonder if the phone will support T-Mobile's VoLTE feature and Wi-Fi calling. We could ask Bill Nye the Science Guy for the answer, but he probably doesn't have a clue. Luckily, HTC's VP of product management, Mo Versi, sent out a tweet with the answer. Both VoLTE and Wi-Fi calling are available for T-Mobile customers rocking the unlocked HTC 10. The latter allows you to use Wi-Fi to make phone calls in areas where T-Mobile has a weak cell signal. The former allows calls to be made over the 4G LTE network. This allows for the use of HD voice and provides improved audio quality for your phone calls. For the last three weeks, we've been hearing that HTC is obsessed with the camera, battery life, and audio for the HTC 10. Now, how many of you are obsessed with the phone? Not bad, now the question is will they take $100 off the 64GB model? No 64gb model in the US. Thats usually how it works. All the "free sh*t from ssung" and "discounts" aren't available outside of the US of A. But most people on this website treat that as the benchmark for the world market. For the UK use 'HTC100'. I pre-ordered one this afternoon. At that time only the 32 GB version was available, and only black and white. 32GB is fine for me. I picked up one of the 200GB MicroSD cards when they were on sale a few weeks back for $60. Luckily I saw a posting somewhere about the $100 promo code before PhoneArena posted the story. It might have been posted in a comment on another PA story. Just the bit of information that i needed to approve my purchase. Also at $599 this is a good deal. In for one Carbon. It's not a bad deal at $599 for sure. I still would have liked to see HTC be aggressive on pricing this go around. Get some market share and make it up with pricing on the next one. This is GREAT news for those of us that prefer not to buy carrier locked/branded devices. Previously I'd have to S-Off, change MID/CID and load T-Mobile FW/RUU so get this to work which meant all of the carrier bloatware.